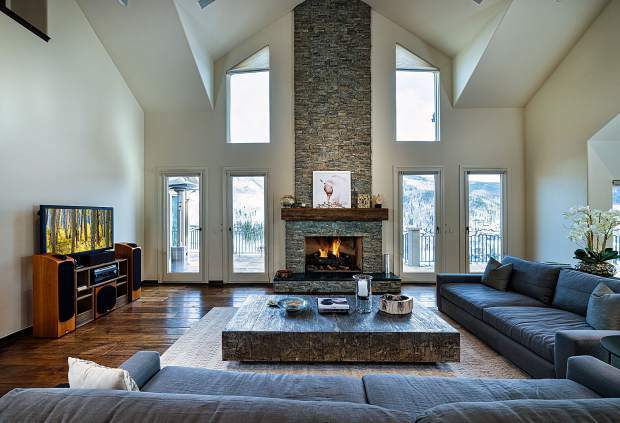 This home at 1675 Aspen Ridge Road in Vail is listed by LIV Sotheby’s International Realty for $4.995 million. Despite much of Colorado and the western United States experiencing a low snow year at the start of the 2017-2018 ski season, the performance of many western resort-area real estate markets delivered some positive results at year-end 2017, according to LIV Sotheby’s International Realty’s recently released Resort Report. Interestingly, all of the Sotheby’s International Realty Resort locations analyzed in the Report (Vail Valley, Breckenridge, Aspen, Telluride, Crested Butte, Steamboat Springs; Park City, Utah; Lake Tahoe, California; Jackson Hole, Wyoming; Big Sky, Montana; Santa Fe, New Mexico; and Sun Valley Idaho), demonstrated increases in both average price and average price per square foot — a clear indicator of consumers’ continued desire for lifestyle-inspired home purchases and willingness to spend more for homes they truly desire. With ski industry leaders including Vail Resorts continuously positioning Colorado and the Western United States as a mecca for world-class skiing, as evidenced with the recent announcement that Telluride Ski Resort will join the Epic Pass beginning with the 2018-19 winter season, real estate growth within resort markets will likely continue to rise. In Vail, Total Dollar Volume Sold, rose 23.8 percent, year-over-year, and average price increased 12 percent. The annual Resort Report analyzes data compiled from 12 resort communities throughout Colorado and the western half of the United States, keeping consumers up-to-date on the overall housing market in each area, and positioning them to make better real estate decisions, whether purchasing or selling a home in a resort market. When contemplating as large a financial commitment as the purchase or sale of a primary or second home in a resort area, market data can make a significant impact on making sound financial decisions, and LIV Sotheby’s International Realty remains committed to helping consumers make better real estate decisions, whether purchasing or selling a home. Brittanny Havard is public relations manager for LIV Sotheby’s International Realty. LIV Sotheby’s International Realty compiles monthly, quarterly and year-end reports to help consumers make better real estate decisions, whether purchasing or selling a home. To access current market reports, visit http://www.coloradomarketreports.com. For more information about LIV Sotheby’s International Realty, visit http://www.livsothebysrealty.com.